Spread your wings...or open your heart? Mack Blanton is back home in Bourbon Springs after a brief attempt at Nashville stardom. Frustrated and restless, he desperately wants to return to Music City to do the thing he loves more than anthing else--make music. Local laywer Jorrie Jones works for a millionaire horse farm owner and gets to regularly make billable visits to her wondereful client as well as the bourbon distillery across the road. But she wonders whether there are bigger and better things in store for her beyond the confines of little Craig County, Kentucky. Yet when these two meet at a wedding, plakns and hearts begin to change. Mack can't stop writing songs for hte woman he can't stop thinking about. And Jorrie realizes that small-town life definitely has its attractions in the form and voice of Mack Blanton. As these two discover the simple gifts of love, their future is threatened by Mack's past and present. 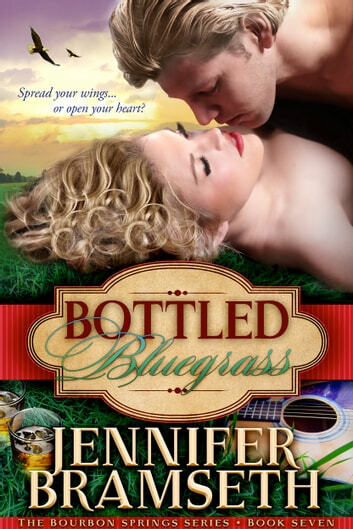 Will he choose to return to Nashville or make music in Bourbon Springs? 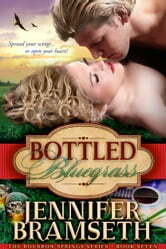 Bottled Bluegrass is the seventh book in the Bourbon Springs Series. Tears...there were lots of tears!